Need a reliable and dedicated partner for packaging fresh product? Response time is one of the most critical services we can offer our customers who are dealing with fresh product. Our supply of poly bags and films have to be in the plant when they are needed. They have to be of the quality that is required and they have to meet our customers expectations in terms of the price, the quantity, and their specifications. Our team has spent decades proving themselves over and over again as reliable partners in the food processing industry. In addition to having the bags, films, materials, and packaging equipment our customers need, we are also committed to responding quickly and accurately to the demands of our customers. Atlantic takes great pride in our ability to respond. We don’t operate under layers of management or bureaucracy. Our sales personnel, warehouse managers, and technicians are empowered to make decisions and find solutions to meet the needs of our customers. Learn more about our equipment, materials, and service for Poultry Packaging. Atlantic has warehouse locations throughout the U.S. to accommodate our inventory management program and help our customers get the supplies and packaging materials they need, when they need them. Inventory and logistics are an integral part of our overall services. Assisting our food processing customers with warehousing and inventory helps them dedicate their valuable space to production rather than storage. Their focus remains on their core priorities and we provide a reliable partnership to manage their packaging products and supplies. We understand the urgency for fresh food producers to have the supplies they need on hand. Our customers count on Atlantic to come through for them when they need it most. When it comes to poly bags and sheeting for the food processing industry, Atlantic’s capabilities include all types of polyethylene bags and sheets, either individually cut or perforated on rolls. Our team helps size and specify liners for bins and boxes as well as bin covers, layer sheets, and wicketed bags. We have strong relationships with our plastics vendors and have the ability to source the precise materials needed for food processing and packaging applications. Our goal is to make your supply chain smooth and effective to keep your production line efficient. Learn more about our Flexible Packaging. Over the last decade, Atlantic has invested in our film knowledge and expertise in order to bring you the best options in films to match your specific application. We test materials at our cutting-edge Film Lab and we train and educate our customers on the proper settings for their equipment. The food processing industry uses shrink films in polyethylene or polyolefin for bundling and wrapping. We can supply these films printed in up to 8 colors with line or process prints in roll stock or converted wicketed bags. Learn more about our Shrink Packaging. We offer a broad range of polyethylene based co-extruded, nylon, and EVOH barrier films for packaging fresh proteins and foods. We can have these materials custom manufactured to meet all of your barrier film requirements. The Atlantic Printing & Graphics division can supply custom printed films in up to 8 colors on single and laminated structured films. These printed specialty films can be used for tray packs, lidding films, and parts and pouch bags. Atlantic has extensive, in-house labeling capabilities, ranging from utility labels to shrink sleeves and retail packaging. As far as labeling equipment, we can supply our customers with label printers and applicators as well as shrink sleeve applicators. Learn more about our equipment, materials, and service for Labeling, Coding, and HP Printing for Food Packaging. We also produce high quality digital, flexographic, and offset printed labels at our print shop in Tabor City, N.C.
We have 7 color digital printing with the ability to print on tags, films, and foils, along with multiple finishing options. Our flexographic label presses are capable of 11 color printing with water based or UV inks on a wide variety of substrates including paper, film, foil, and tags. See more info about our Label Printing Services. In addition to the poly bags and materials we supply for the food processing industry, Atlantic also offers a selection of equipment to help automate your packaging line. Improve productivity and efficiency with automated bagging machines, VFFS equipment, labelers, coding and marking printers and more. 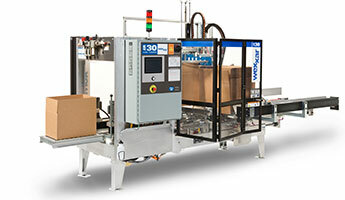 See more about equipment for Poultry Packaging. True savings are achieved by having professionals – like us – come into your plant, audit your process, and bring you the innovative products that can offer real value and real cost savings.